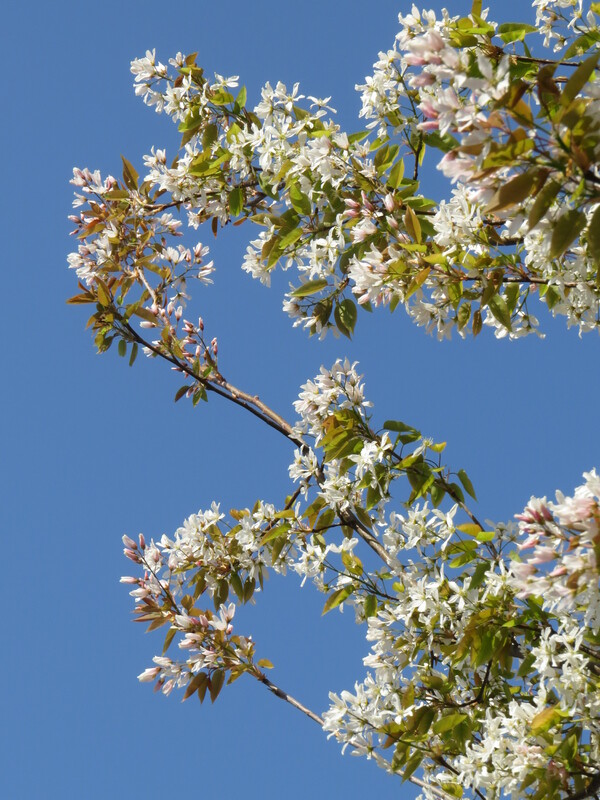 Dear Readers, as I am just back from a fortnight in Canada I thought I would feature a North American tree this week, the shadbush or juneberry. The specimen in the photo above was planted a few years ago after the original tree succumbed to a fungal infection, and there is a larger, older tree on the other side of the road. 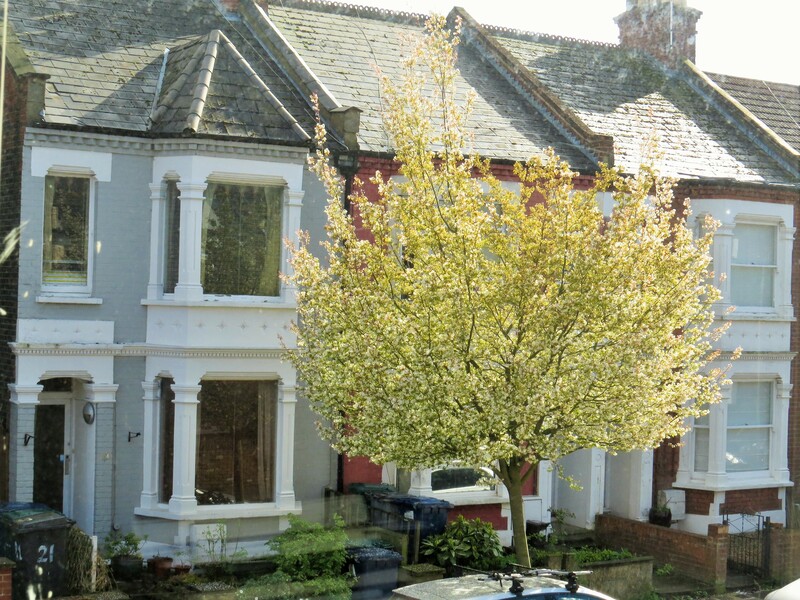 It is fast becoming one of London’s most popular street trees, and you can see why: the frothy white flowers are surrounded by new leaves that emerge as bronze and gradually turn green, and in the autumn the tree has spectacular red foliage. 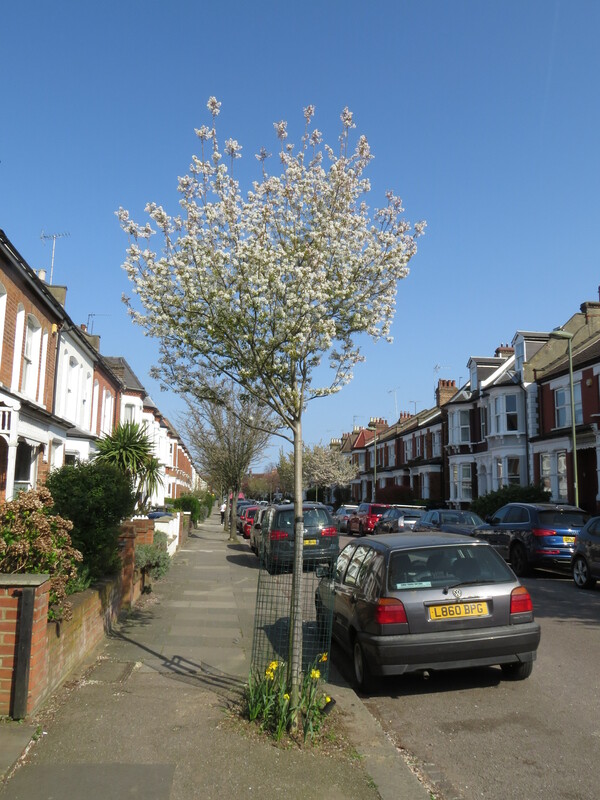 They look a little like cherry trees, but, as Paul Wood points out in his wonderful book ‘London’s Street Trees‘ the bark and leaves are different – the bark of the shadbush is smooth grey with a faint vein pattern, and the leaves are smaller and more oblong.One slight disadvantage though, as I peer along the road, is the sheer volume of dropped blossom once the wind gets up – the car opposite looks as if it’s had a smattering of snow. But I would forgive it anything when the sun lights it up for a few seconds, as it did when I was writing this piece this afternoon. At the moment, I need all the sunshine that I can get, literal and metaphorical. Incidentally, Paul Wood has a new book out soon called ‘London is a Forest’ and I have already pre-ordered it. Highly recommended! Shadbush is a member of a genus of twenty-odd species of Amelanchier, a group of small trees and shrubs in the rose family that are mostly native to North America. I seem to remember that my local tree had a label designating it as Amelanchior canadensis, but this has unfortunately dropped off. This is a group which hybridises with great enthusiasm, and so plants are often described incorrectly. Suffice to say that this particular plant strongly resembles those that I’ve seen in Canada, where they are often trees that pop up early as woodland establishes itself. The name ‘shadbush’ seems to come from the way that the flowers bloom at the same time as the shad start to appear in the streams in spring. This was the subject of a rather lovely children’s book by Carla J.S. Messinger, a descendant of the Lenape people of Eastern North America, and you can have a look here. 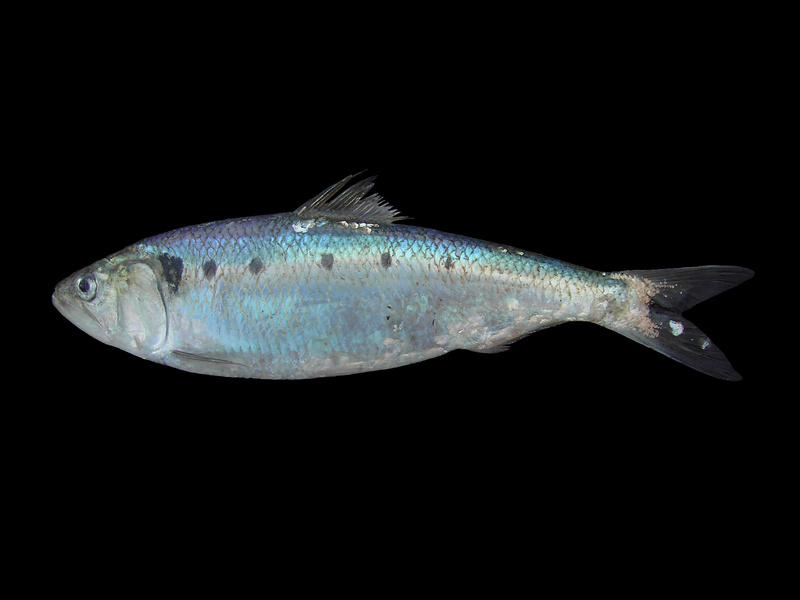 And here is a shad, for your delectation. They are members of the herring family, and were presumably very welcome after a long hard winter. When I was in Canada the long hard winter was still going on, and it was nearly April, but fortunately these days the arrival of the shad is not quite so crucial. Incidentally, the London place names ‘Shad Thames’ and ‘Shadwell’ are thought to be related not to the fish, but to the location of a nearby St Chad’s Well, although I have heard some other explanations too. Intriguingly, one of the Old English names for ‘fish’ was ‘shad’, though the fish that now bears the name does not live in Europe. As you might expect from yet another alternative name, ‘Juneberry’, the tree also bears fruits which are described as ‘insipid to delectably sweet’ depending on the species. The berries (or technically ‘pomes’) are useful for wildlife, but have also been harvested for human use: the fruit of Amelanchier alnifolia, the Saskatoon, was an important ingredient in pemmican, a preserved meat taken on the trail by the fur trappers of Hudson’s Bay, and also by the Canadian native peoples. 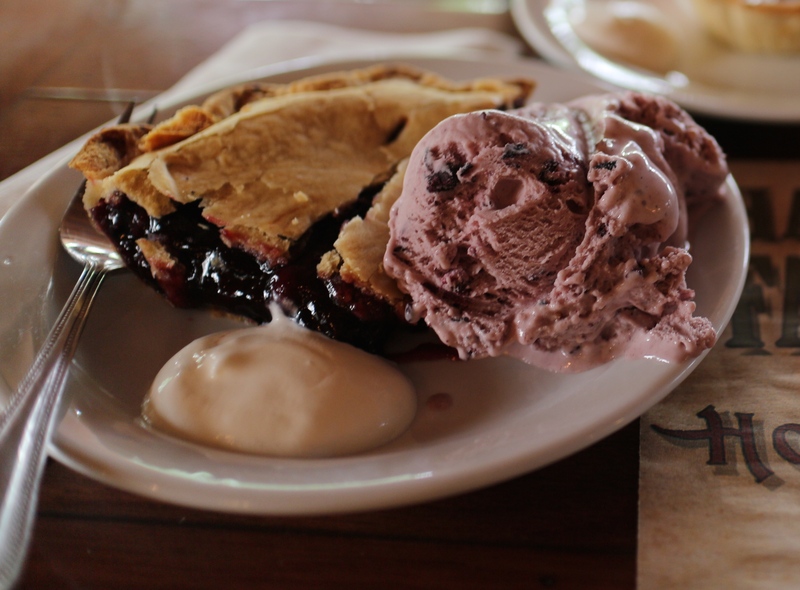 Saskatoon berries gave their name to the city of Saskatoon in Saskatchewan, Canada, and are made into everything from jams and jellies to rather delicious-looking pies. The wood has also been used by First Peoples in Canada to make arrows and a kind of body armour. 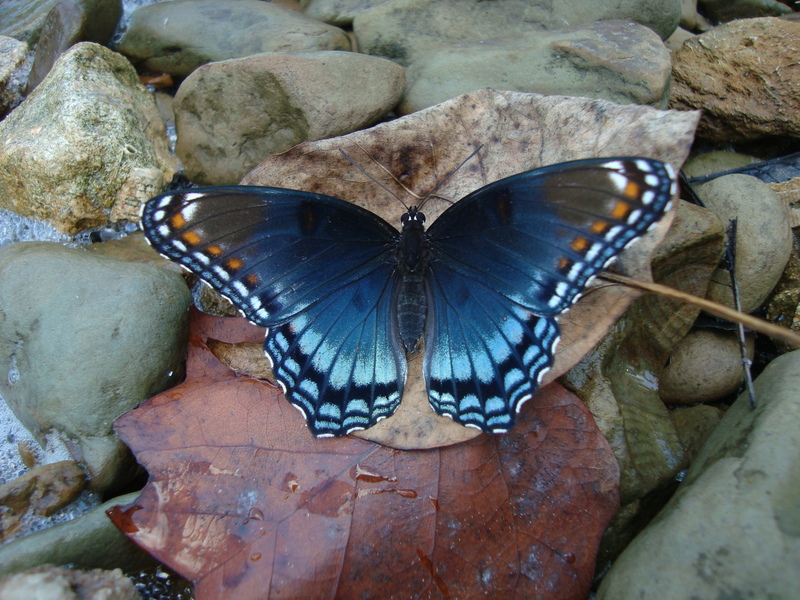 The plant is the food of choice for many species of butterflies and moths, with the caterpillars of the red-spotted admiral (Limenitis arthemis) and the brimstone moth (Opisthographtis luteolata) being amongst the most colourful. 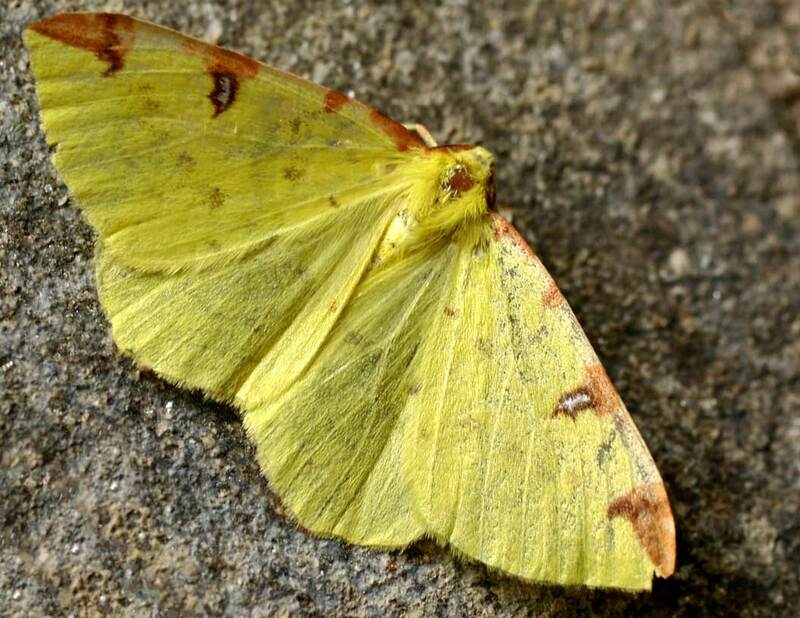 As the brimstone moth is European and doesn’t normally have access to the shadbush, I assume that it has found those planted in streets and gardens to its liking. Another name for the shadbush is ‘serviceberry’. The story was that, once the shadbush was in bloom, the ground was sufficiently thawed to hold the funerals of those who had died during the winter. Medicinally, the plant was used by the native peoples of North America to treat dysentery, childbirth problems and worms. And now, a poem. Why have I never heard of Stanley Plumly? I love his depiction of a city scene, and the way that it opens up from the particular to the universal. The last line is a killer. cracks the paving stone, rooted in the plaza. how natural this woman eating berries, how alone. This entry was posted in London Plants on April 3, 2019 by Bug Woman. What a lot of interesting information presented in a most entertaining manner. I love the way you move through from one aspect of your subject to another! I did, thanks Mike! A bit cold though, and no sign of spring at all….. I know how that feels! Another poetry ‘find’. At first, who/what are we watching? Gradually I suspected but the final truth was shocking yet so right. 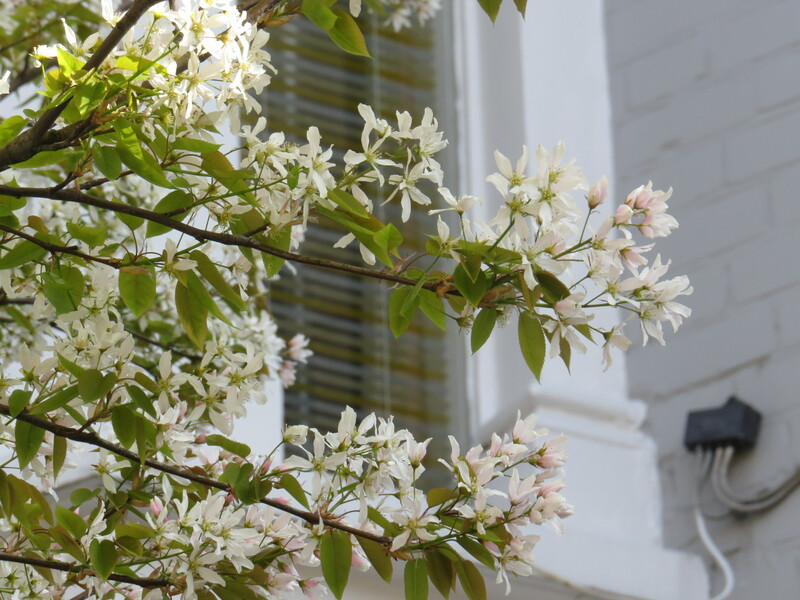 Amelanchier is such a worthwhile shrub to have, it has so many different interests throughout the seasons. Our late parents had one in their front garden, we still see it every day as we pass. There is a lovely variety, which i have near my wildlife pond called Amelanchier ‘Obelisk’, it has a much more upright habit, perfect if you have a smaller garden. The collared doves love berries don’t they, though not quite as much as the ring-necked parakeets that strip the trees around me…. This poor tree has way more names than it can keep track of. When we grew them, we knew them simply as ‘serviceberries’ or ‘sarviceberries’. I prefer ‘saskatoon’ because it sounds fancier. I want to grow them for their berries, so I can make jelly with them. They are not native here.